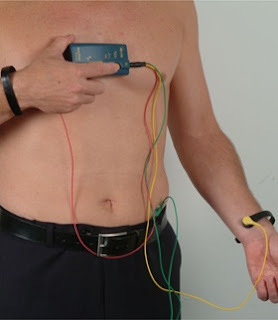 The global ECG telemetry devices market is expected to reach some $1.25 billion by 2017, according to a report published by Global Industry Analysts (GIA). The report indicates that the market for ECG monitoring equipment continues to expand steadily. GIA's analysts attributed the rise to aging world population and increasing incidence of cardiovascular diseases. The added that, technology innovations are expected to boost the sales of telemetry systems. "With most hospitals moving towards computerization for maintaining Electrocardiogram (ECG) records, investment in data management systems continue to account for a major share of hospital budgets," The authors noted. "Rising expenditure and scarcity of alternative home care resources and services are further expected to add to the growing demand for home telemetry monitoring devices. With growing number of people receiving home care, there exists strong potential for growth in the home care monitoring devices and telemetry devices segments." Wireless ECG – Aerotel’s HeartView Personal hand-held 12-lead ECG monitor with Bluetooth connectivity. The solution enables easy and effective transmission of clinical information to a remote monitoring center for interpretation and immediate care. Mobile-CliniQ – a mobile phone application that enables remote monitoring of various health parameters such as electrocardiogram (ECG), blood pressure, blood glucose level, weight, etc. Heartline ECG Monitoring – Aerotel's Heartline is designed for various diagnostic, emergency and monitoring service applications. It comprises a complete range of personal, 1 to 12 lead transtelephonic or digital ECG devices for various remote diagnostic and emergency service applications. The report indicates that while the US represents the largest regional market for ECG telemetry devices, Asia-Pacific represents the fastest growing region, creating significant opportunities.